Unique Bi-level Cedar sided Lake Cabin on level lot with frontage on Sand Lake & Sand creek. Sand bottom at shoreline. 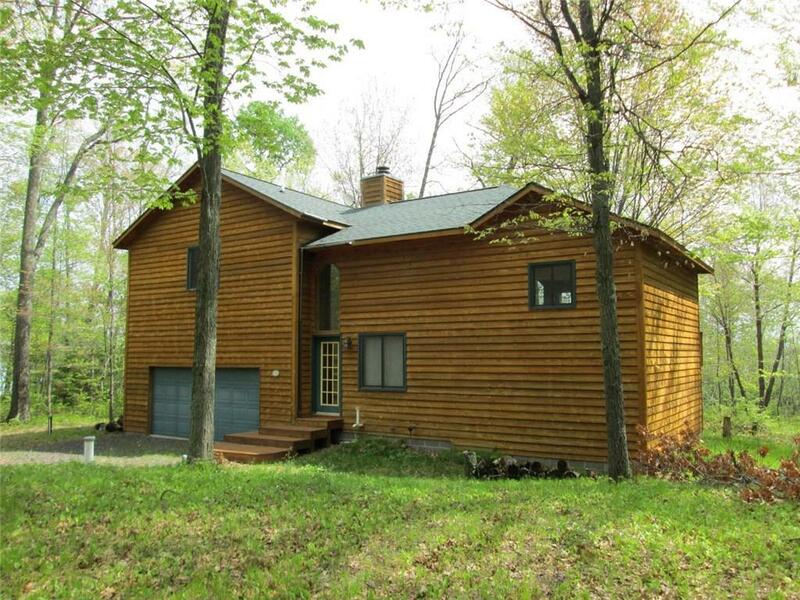 Knotty pine interior, finished lower level, large master bath & lakeside deck. Fireplace, open kitchen dining area with lake view. Attached garage & all this on 4+ acres on dead end road. Very private & lots of options with 550 ft of frontage on Sand Lake. Must see to appreciate. Motivated Seller! Directions: From Stone Lake Take Hwy 70 North. Take West Shore Ln East To End Of Road. Property On Left At End Of Road.